Previous scholarship on classical pseudepigrapha has generally aimed at proving issues of attribution and dating of individual works, with little or no attention paid to the texts as literary artefacts. 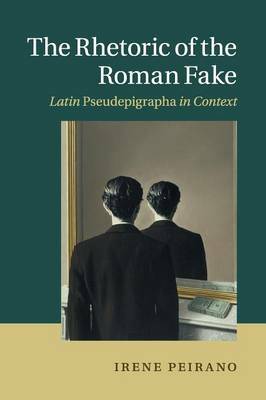 Instead, this book looks at Latin fakes as sophisticated products of a literary culture in which collaborative practices of supplementation, recasting and role-play were the absolute cornerstones of rhetorical education and literary practice. Texts such as the Catalepton, the Consolatio ad Liviam and the Panegyricus Messallae thus illuminate the strategies whereby Imperial audiences received and interrogated canonical texts and are here explored as key moments in the Imperial reception of Augustan authors such as Virgil, Ovid and Tibullus. The study of the rhetoric of these creative supplements irreverently mingling truth and fiction reveals much not only about the neighbouring concepts of fiction, authenticity and reality, but also about the tacit assumptions by which the latter are employed in literary criticism.